Was $40. Now $28! 30% off! 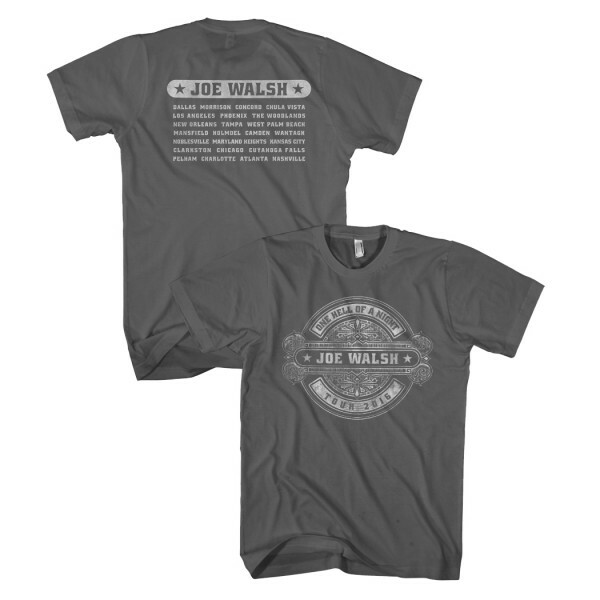 Gray T-Shirt with Joe Walsh logo on front and 2016 tour stops on back. Please note: print on t-shirt may be different than in photo.